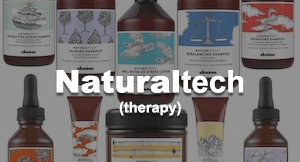 The high-end, Italian product lines of Davines ® are used and sold in Austin, TX at Boho Salon. Founded in Parma, Italy by the Bollati Family in 1983, Davines ® crafts only the highest-quality hair care products that are scientifically engineered to be effective. It is important to care for oneself and to care for one’s environment. Sustainability is a key value and Davines ® employs 100% clean electric energy from renewable sources such as sun, wind, water, and soil to supply its plants and offices. These inexhaustible sources of energy do not release CO2, do not pollute, and are constantly renewed. At Boho Salon, we also care deeply for our environment, but are not willing to compromise on the quality of the products we carry. That is why we proudly use and sell Davines ® products in Austin, TX, a city that cares for its environment as much as we do. 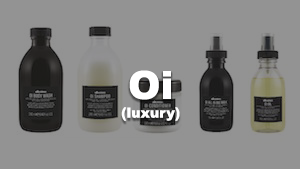 Davines ® professional products are used during services at our salon. Since we can’t come home with you after your service, we highly recommend that you use some of our home care products. Ask your stylist what you need for your hair specifically! 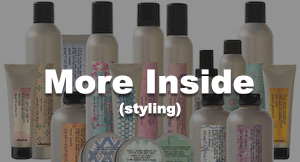 Boho Salon is a high-end hair salon located in Austin, TX that carries Davines products.